Unimog 404 Transmission Shift Diagram. New Old Stock - Obsolete and no longer available from MBZ, these are the original multi-language shift plates in limited quantities. Perfect condition as new. 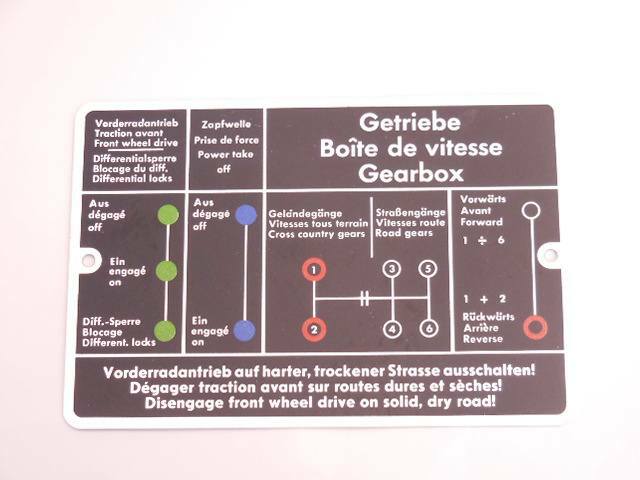 Very nice replacement for a missing transmission shift diagram plate. The multi-language is a great addition too.